Northern Virginia, often referred to colloquially as NOVA, is a unique metropolitan area distinct from the Southern part of the state. Being the suburb of the nation’s capital, it is overflowing with opportunities, events, and a wealth of living options that range from the city to the countryside. With several National Parks, including Great Falls and Wolf Trap’s Park and Performing Arts Center; there is always a place to go and a way to stay active. O’Grady’s Landscape has been serving the Northern Virginia area for over 20 years. Our Professional and dependable team is here for you and all your lawn maintenance needs or landscape designs. Learn more about our services in Northern Virginia. Having grown from a small town to a now a bustling busy city, Arlington still provides that suburban feel with all the convenience of local shopping and a short trip to work or sights of DC. Having a lawn well-taken care of can remove a lot of un-needed stress. 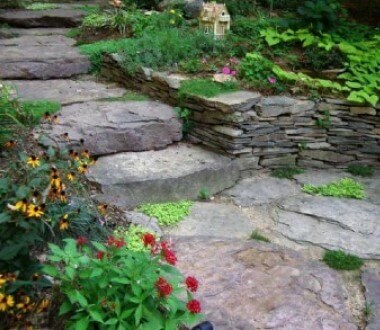 O’Gradys Landscape can be your one stop shop. 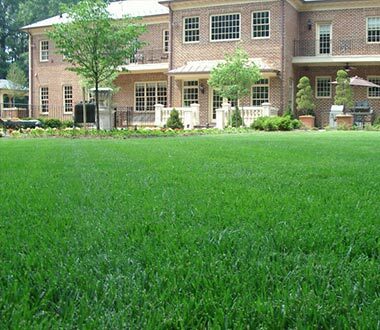 With a consultation we can work together on achieving your lawn dreams from landscape design to general maintenance. Learn more about our services in Arlington. Falls Church is in an amazing location right near our nations capital. Being so close to DC a lot of the residents of Falls Church commute everyday to DC for work. With the DC traffic and the hustle of everyday life, keeping up with the lawn and backyard can be time consuming. Here at O’Grady’s we understand the needs of all of our clients and make the hassle of getting the lawn down a distant memory. Learn more about or services in Falls Church. Reston is only a ten-minute drive from the Tyson Corner Mall and is only 4 miles away from Wolf Trap National Park for the performing arts. Reston is a beautiful community that has a lot to offer. 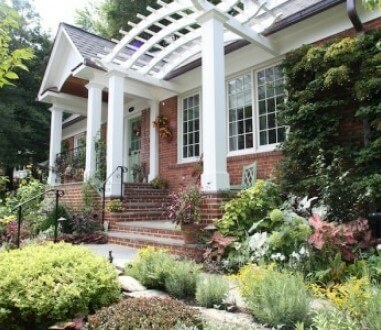 With Reston being such a beautiful community it can be hard to worry about your yard and landscape. Deciding what looks best in your yard can seem like a daunting task but we are here to help. We offer landscape design services to make sure you are happy with your landscape before committing to a big project. Afterwards our experienced team will make sure that it looks just like you dreamed it. Every project is important to us and we guarantee it will turn out just like you wanted. Learn more about our services in Reston. Home to George Mason one of the best universities in the country, Fairfax is a city bustling with character and activity. Fairfax has been around for over 200 years and is one of the oldest communities in the country. At O’Grady’s we take pride in serving this amazing and historic community. We have been serving some of our clients in Fairfax for almost 20 years and know the area well. We take care of your lawn like it’s our own including but not limited to: hardscapes, softscapes, landscape design, and lawn maintenance. Learn more about our services in Fairfax. A heartthrob of a place conveniently bordered by Maryland and Washington DC, McLean has the beauty of the grand Potomac River flowing around its northern border. McLean suburbs are marked by older trees and classic scenic gardens. We are always looking forward to creating a yard that is personal to you and your family. For over 20 years, O’Grady’s Landscape has been the premier choice for all lawn maintenance and general landscaping needs. Learn more about our services in McLean. Named after the roaring white waterfalls at Great Falls National Park, Great Falls is a quiet, calm place to settle down. Nature is all around with long bike and running paths, and hiking along the beautiful Great Falls which are part of the usually calm Potomac River. Enjoy your own personal outdoor space with the help of O’Grady’s Landscape. We take care of your lawn like it’s our own including but not limited to: hardscapes, softscapes, landscape design, and lawn maintenance. Learn more about our services in Great Falls. Vienna boasts the home to the renowned Wolf Trap National Park, minutes form Tysons Corner Mall, and easy access to I-66 heading towards the heart of Washington, DC. Vienna is a town navigated through rolling hills and twisting streets. Old and new style housing with different yard slopes means lots of different landscaping needs. At O’Grady’s we can do it all. Whether that’s lawn aeration, planting, or simply lawn mowing; O’Grady’s has been providing the best customer service and quality work for over 20 years. Learn more about our services in Vienna. Sterling is another area of Northern Virginia that is home to thousands of families. Located just west of Great Falls, Sterling is home to many residential communities and even incorporates Potomac Falls. With many different style homes and varying-sized lots, each yard requires a different landscaping touch. At O’Grady’s, we have designers on staff to help create the perfect outdoor space for you. Or if you simply need a reliable company to mow your lawn and maintain your yard, we can help with that too! Learn more about our landscaping services in Sterling. Herndon is home to many single-family homes and has transformed into a town that thousands of families call home. Located adjacent to Sterling, Herndon is located in an ideal location right off of the Dulles Toll Road, giving its inhabitants easy access to Tysons Corner and DC. When homeowners don’t feel like leaving their home, having an outdoor space in their yard where they can enjoy themselves is essential. At O’Grady’s Landscapes, our professionals can help keep your yard looking beautiful, and even offer professional hardscape installation for those who want a more complete outdoor living space. 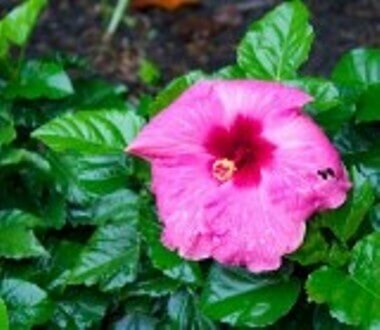 Learn more about our landscaping services in Herndon. Oakton VA is a quaint small town with forested neighborhoods and rolling hills. While small, Oakton has a lot to offer with spacious parks and close knit-communities. A beautiful place to settle down for families and young professionals with easy access to the opportunities of living in the metro DC area. Coming home and enjoying your outdoor living space instead of working on it all weekend is the dream of many families. At O’Grady’s Landscapes we can take the stress out of maintaining your lawn and work with you to design your landscape in a way that suits your style and goals. 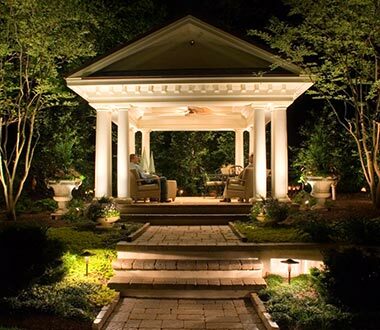 Check out all our services from outdoor lighting to installing hardscapes such as patios and retaining walls. Learn more about our landscaping services in Oakton VA. The beautiful scenic town of Ashburn is located in Loudoun county and East of Washington, DC. Surrounded by open fields, this rural community also has the unique feature of ensuring a urban sense of community. With wineries and breweries, family or friendly outings to iFLY and Top Golf, there is something meant for everyone to enjoy. At O’grady’s Landscape, our services include general landscaping services, outdoor lighting, and lawn maintenance. Learn more about our landscaping services in Ashburn, VA.
Part of Fairfax county, the town of Reston is a fast-evolving urban community with local and tourist designated attractions. Local areas such as the Reston Town Center, a booming chain of restaurants and shopping stores, is a town favorite. Other friendly activities include paddle boarding, waterparks, and Lake Fairfax Park. Our team enjoys servicing the area of Reston by providing landscaping and lawn maintenance for residential and commercial facilities. Learn more about our landscaping services in Reston, VA.
Chantilly VA is a thriving community in Fairfax County. Located North of Rt.66, residents enjoy easy access to Washington DC and the benefits of the city while not missing out on the relaxation of natural hiking at Ellanor C. Lawrence Park or the fun of farm life at Frying Pan Farm Park. History and science are alive at Sully Historic Site and the Steven F. Udvar Hazy Center (Smithsonian National Air & Space Museum). It’s easy to say that Chantilly is a busy place. Let O’Grady’s take care of your lawn maintenance and design so you can take care of matters that are most important to you. 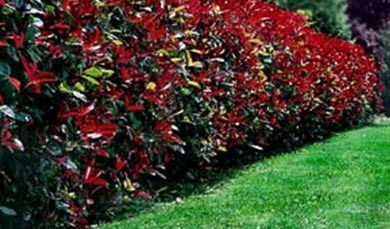 Learn more about our landscaping services in Chantilly, VA.